Custom Camera Profiling - now available for Capture One Users! 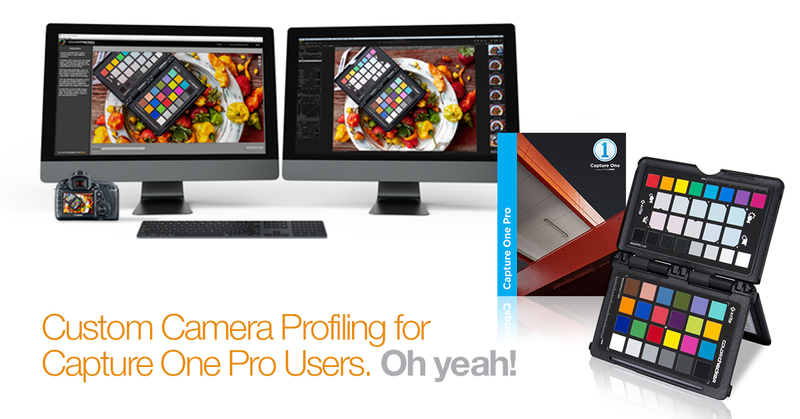 Capture One users can now create custom ICC camera profiles with new public beta software. Creating ICC profiles is simple as 1, 2, 3! 1. Photograph a ColorChecker Passport or any ColorChecker Classic in raw file format. 2. Process the TIFF file in Capture One using the recommended settings. 3. Use Camera Calibration software v1.2 to create your custom ICC camera profile for use in Capture One. Quit and reopen Capture One. Your newly created ICC camera profile is now available and ready to use based on your specific camera and lens combination during your shooting session. Remember your custom profile is only as good as the target you’re using. If your ColorChecker Passport Photo or ColorChecker Classic is two years or older, it might be time for a new one. You can check out our Promotions page for the latest savings!